The kids and I have been busy decorating things for Summer today. What is more Summer than the 4th of July? 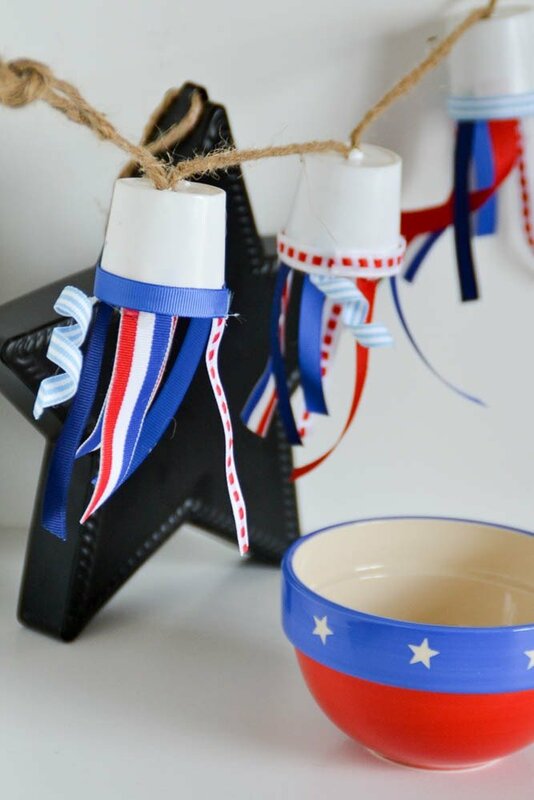 I love the look of Red, White, & Blue decorations. 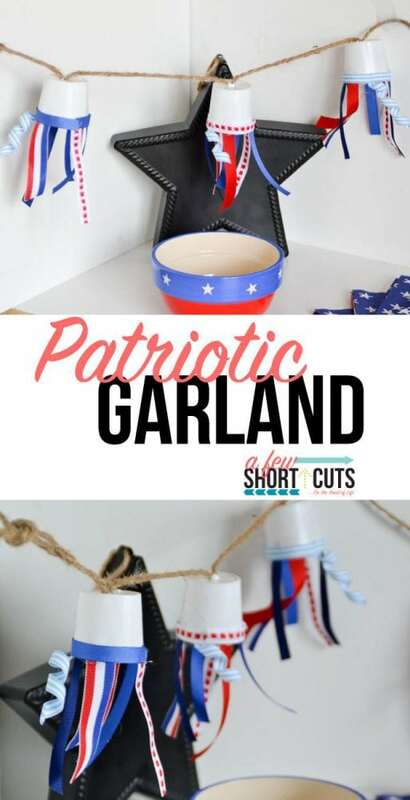 Today we tried out this adorable Patriotic Garland. I took a phillips head screwdriver and poked a whole in the center of all the k-cups. You could use an ice pick or other sharp object. This was the first thing I found. The k-cup plastic is thin enough that this is pretty easy. I unwound some of the jute rope. I then pinched the spot where I wanted the first k-cup to go and fed it through the whole in the cup as pictured above. I then tied a quick knot. 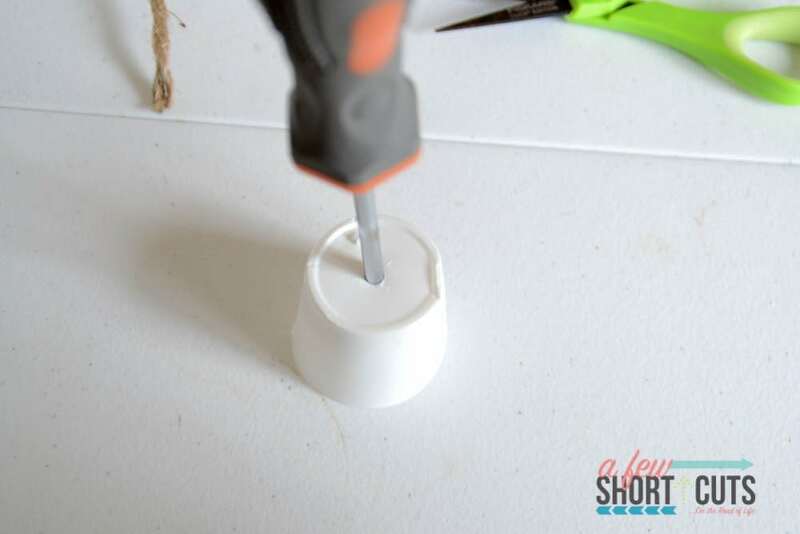 Slide the k-cup back down over the knot that way it is hidden. Now comes the fun part. 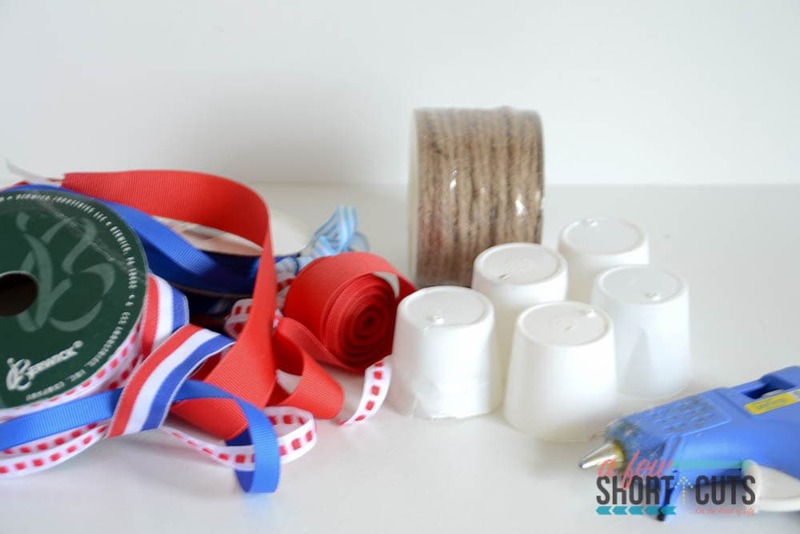 You can got glue ribbons, sequins, and more to decorate your cups. 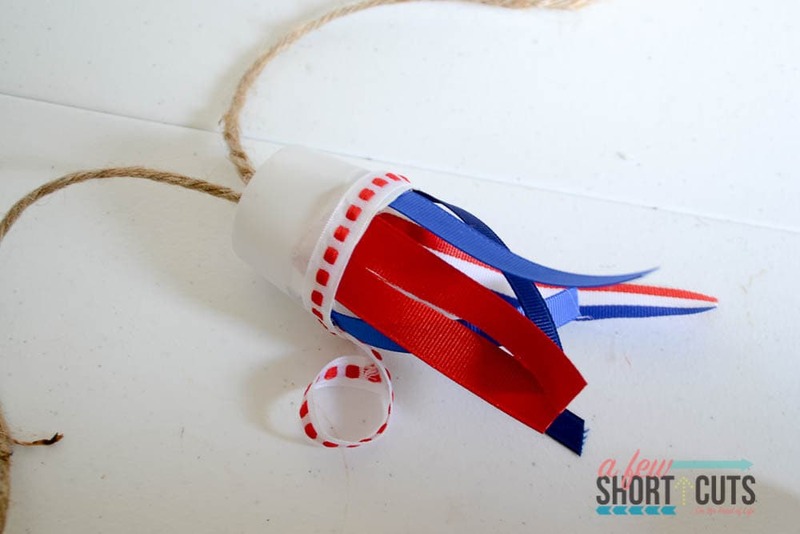 Continue this process down the rope for as many cups as you would like to add. 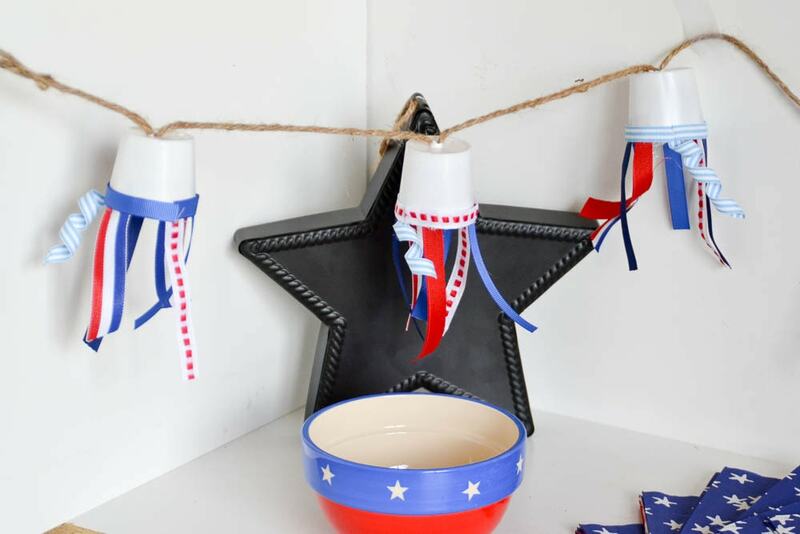 We ended up with this crazy adorable garland that is perfect for a patriotic party! 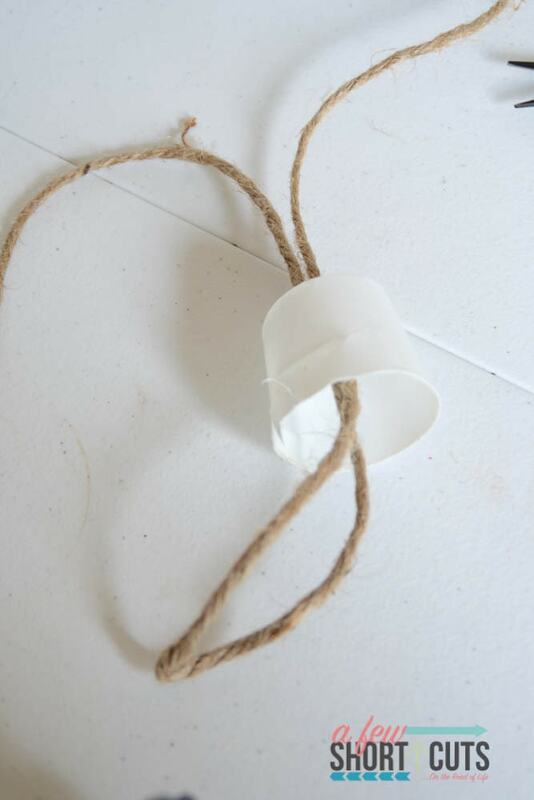 You can even tie loops in the ends of the rope for easier hanging. The kids loved how easy it was and that they could help. It’s also a perfect way to recycle all of those used k-cups! You can really make this with any theme, any colors. Let your imagination run wild!